SpaceX aimed for a third launch in a period of just nine days, but plans were hampered by a last-second countdown abort on Sunday, keeping the company’s Falcon 9 rocket on the ground for at least one more day to allow teams to work out a fault indication that caused an automatic countdown abort just six seconds before ignition. 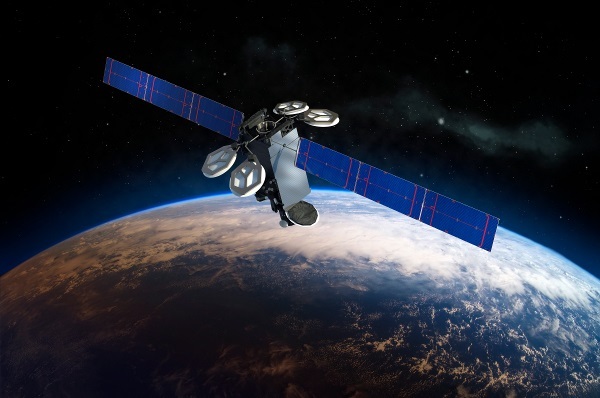 It has been a very busy period at SpaceX with two launches just 49 hours apart on June 23 with BulgariaSat-1 taking flight from Florida followed by ten Iridium-NEXT satellites launching from the West Coast. Both Falcon 9 missions accomplished successful orbital deliveries and managed to land their first stages atop SpaceX’s drone ships despite challenging conditions for both of them. 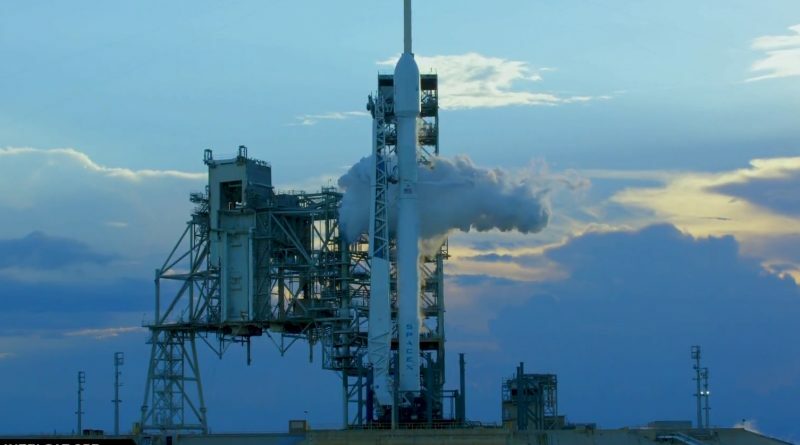 Gearing up for a third launch, SpaceX began preparations at Kennedy Space Center’s Launch Complex 39A within hours of Bulgaria’s first telecommunications satellite leaving the pad. Launch Complex 39A gave SpaceX engineers a very capable pad, only requiring minor touch-ups in between flights that enabled a six-day turnaround between BulgariaSat-1 and the Intelsat 35e Static Fire that occurred on Thursday as the major prerequisite to a launch attempt on Sunday. Falcon 9 conducted its Static Fire test at dusk on Thursday with the nine Merlin 1D engines coming alive for three and a half seconds to capture performance data. The rocket remained upright into the day on Friday before rolling back into the LC-39A integration facility to meet its heavy payload that was carted over to the HIF in the late evening hours on Friday to allow the entire day on Saturday for payload integration. 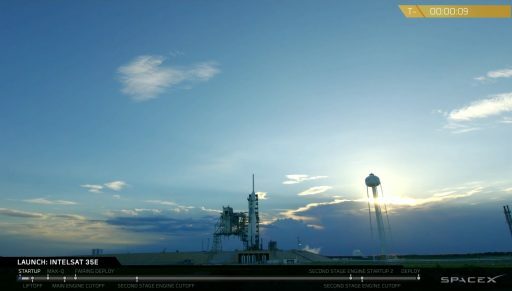 Falcon 9 rolled up the ramp to LC-39A again Sunday morning, taking its vertical liftoff position before 9 a.m. local time to head into power-up operations followed by a multi-hour checkout campaign while engineers closed out the launch pad in preparation for the fast-paced tanking sequence. 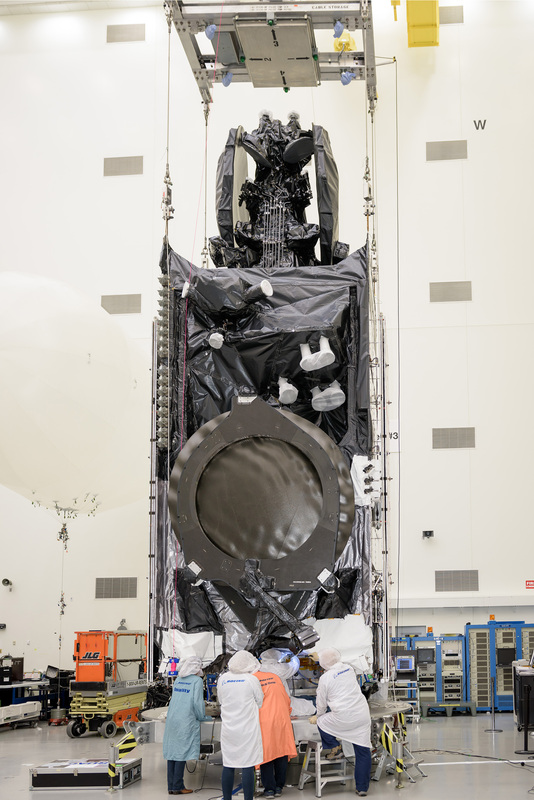 No issues were noted as over 500 metric tons of chilled Rocket Propellant 1 and sub-cooled liquid oxygen were pumped into the two-stage vehicle over the course of under one hour. The 70-meter tall rocket headed into its final countdown sequence at T-7 minutes, starting with the chilldown of the nine Merlin engines on the business end of the vehicle and putting all engine trim valves and thrust vector control actuators through a final pre-launch exercise. 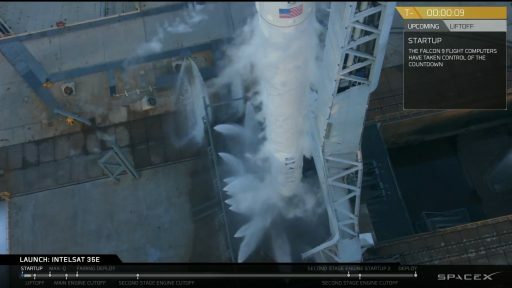 All propellant tanks had reached flight level just inside T-2 minutes and Falcon 9 assumed control of the countdown at T-1 minute for the last critical events leading up to liftoff. A final GO was provided by the Launch Director and Falcon 9 proceeded toward ignition, expected three seconds before liftoff. However, the countdown was stopped at T-9 seconds by the rocket’s onboard computers due to a parameter related to Guidance, Navigation & Control (GNC) exceeding allowable red-line limits. T-10 seconds is the hands-off point for launch controllers and coincides with a final verification of vehicle parameters by the triple-redundant flight computers. With one check not passing, the count was held and Falcon 9 headed into its safing sequence. Having only a one-hour window does not allow Falcon 9 to complete a de-tanking – re-tanking cycle that would likely be required for a performance-constrained mission such as this, planning to use the full propellant supply on both stages for the primary mission. SpaceX noted Falcon 9 and the Intelsat 35e satellite were safed after the scrub, with Falcon 9 heading into de-tanking while engineering reviews of the abort are conducted to identify the issue and work out a forward plan. 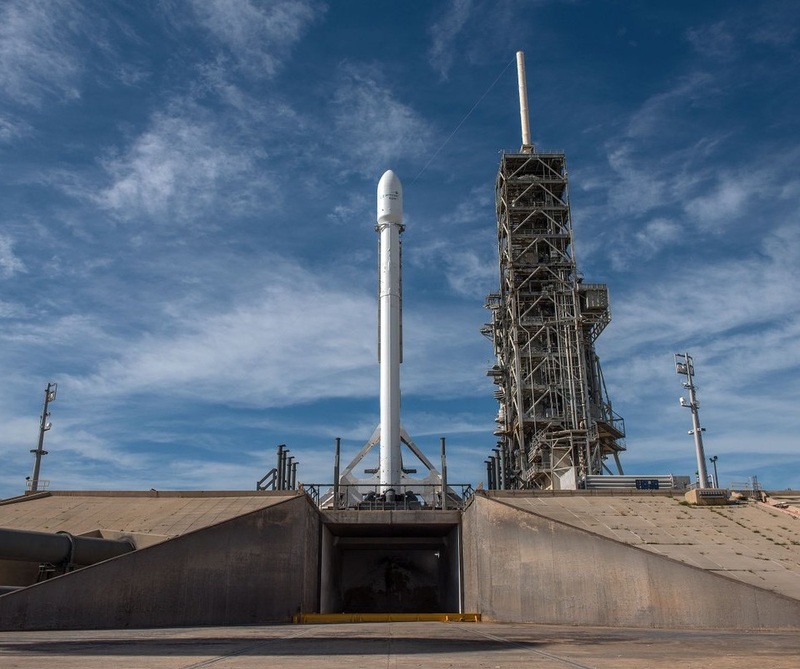 A backup launch slot has been reserved on Monday with a window opening time of 23:37 UTC and a weather forecast showing 60% odds of favorable conditions. Whether it will be possible to go for a 24-hour turnaround will be determined as part of engineering analysis. 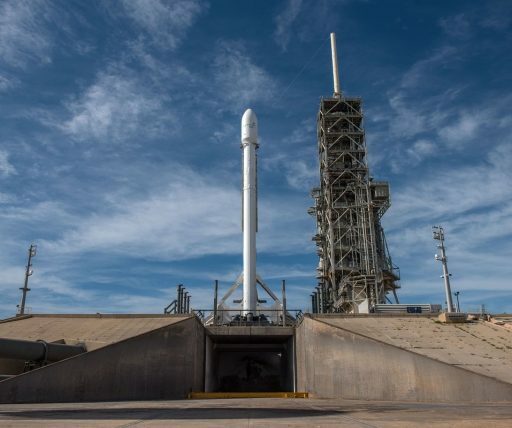 SpaceX has some interest in getting this mission off the ground as soon as possible due to an upcoming maintenance period on the Eastern Range that will cause a downtime of around two and a half to three weeks, starting after the July 4th holiday. After the range downtime, SpaceX is already looking at two critical customers with NASA waiting for the next Dragon mission to the Space Station and the U.S. Air Force’s X-37B headed into orbit under semi-secrecy on its fifth mission. 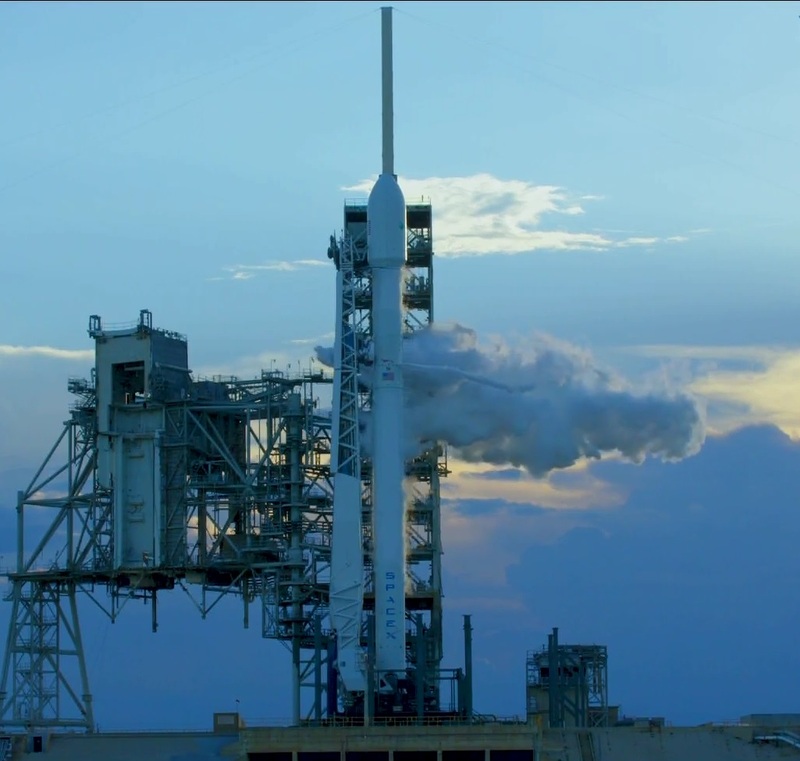 Whether SpaceX could negotiate with the range for opportunities later in the week is not clear and may not be needed if Monday’s attempt can be made possible. Intelsat 35e is the heaviest Geostationary satellite to launch on Falcon 9, weighing in at 6,761 Kilograms; It is the fourth satellite in Intelsat’s ‘Epic’ project that employs several multi-band communications satellites with frequency re-use to create a highly flexible architecture providing the entire palette of communications services on a global scale. 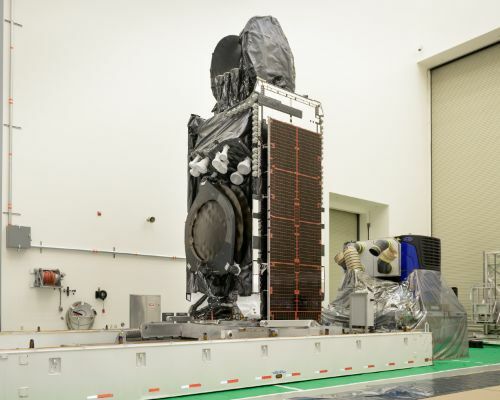 From its drop-off point, Intelsat 35e will complete a series of orbit-raising maneuvers to attain a stationary position over the Atlantic from where it can provide coverage to Europe, Africa, the Caribbean and South America.